Happy Saturday! 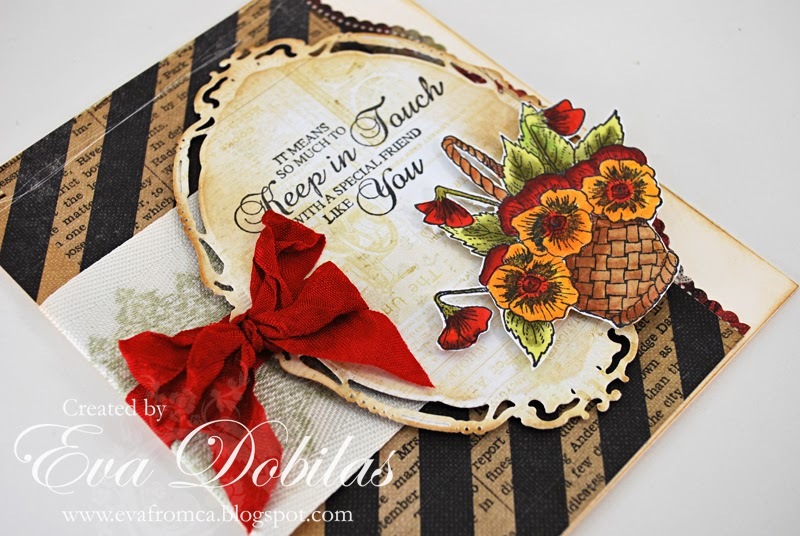 I have another fun card to share with you using another beautiful stamp set from our JustRite Papercrafts March release. This new stamp set is called Pansies in Spring. If you look closer on my card, you can see that on my cream colored twine I also used one of the stamps from Ribbons, Tape and Lace stamp set. The pretty patterned paper is by Prima and I also used Spellbinders Opulent Ovals dies, which I stamped my sentiment onto. I stamped my pansies onto white card stock and colored it with Copic markers. 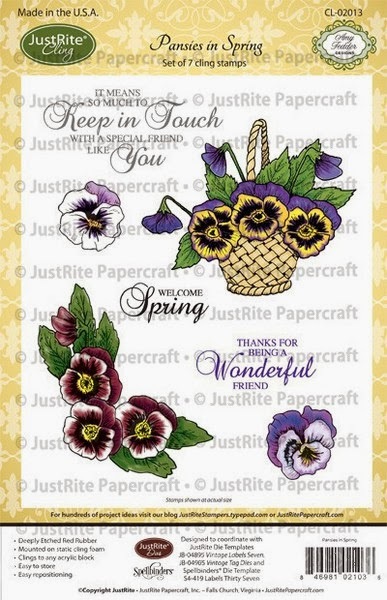 Here is what the beautiful Pansies in Spring stamp set looks like. I hope you liked this card with the new stamps and make sure you check out what my design team mates have created with them as well. Thanks for visiting as always and have a great day!